Read more: The Druze: The Middle East’s most persecuted people? The Golan is a hilly, 1,200 square kilometer (460 square mile) plateau overlooking Lebanon, Syria and the Jordan Valley. The Golan are only 60 km (40 miles) from Damascus and provide Israel with a strong defensive-offensive position and vantage point to observe military movements across the border. On the other hand, Syrian control over the Golan would provide it with strategic heights overlooking Israel. The security dimension has been heightened by the civil war in Syria, which has seen Iran and its Lebanese Shiite ally Hezbollah entrench themselves on Israel’s doorstep through their support of the Assad regime. Israel says Iran and Hezbollah pose a threat and the Golan provides a security barrier. 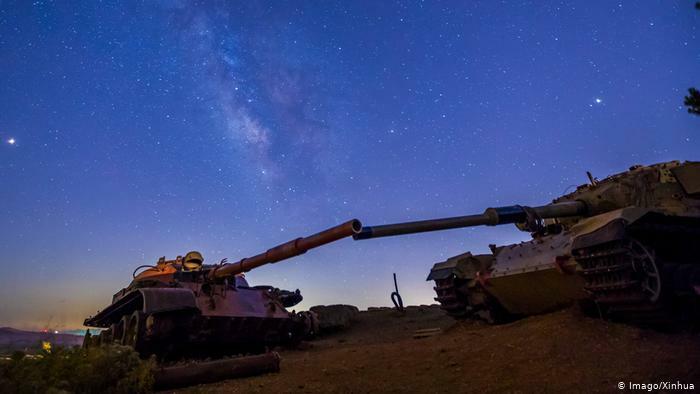 There is more than a security and water-resource dimension to President Donald Trump’s announcement that the US should recognize Israeli sovereignty over the Golan. It would also set a precedent that territory can be captured in war in violation of international law. Russia, for example, will take note of the inconsistency following five years of Western condemnation following its annexation of Crimea from Ukraine in 2014. The Syrian civil war has severely weakened the authority of the state, giving Israel an opportunity to exert its claims over the Golan. It also comes as Israel’s right-wing government has a friend in the Trump administration which already recognized Jerusalem as Israel’s capital in 2017 and moved the US Embassy there. Trump’s announcement may give a boost to Prime Minister Benjamin Netanyahu ahead of tight April 9 elections and distract attention away from multiple corruption investigations swirling around him.